Cocker Spaniels are gorgeous, funny little dogs, but they’re also prone to tons of different health issues (more on that later). So it’s important that you do everything you can to keep your dog healthy. Just like anything other living creature, staying healthy starts with maintaining a healthy diet. We’re going to tell you about the best dog food for Cocker Spaniels! 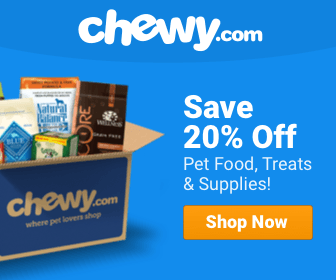 **Below, you'll find our expert's advice, but you can also click the links above to see current prices or read customer reviews on Chewy. Cocker Spaniels are medium sized dogs. They can grow to anywhere from 1 foot 3 inches to 1 foot 5 inches. They can weight anywhere from 26 to 34 pounds. However, they’re a breed that is prone to weight gain if they aren’t fed properly according to their activity level. For less-active Cocker Spaniels, you should look to feeding them around 600 calories per day. Moderately active Cocker Spaniels should get about 740 calories per day. And highly-active Cocker Spaniels should get about 1180 calories per day. It’s very important to gauge your dog’s activity level and adjust their calorie intake per day to keep them at a healthy weight. There isn’t a big difference between the size of male and female Cocker Spaniels, so you’re able to use these calorie counts for both. Like any other breed, the more active your dog is, the more calories they will need to fuel their body. Are you curious to learn more about the health nutrition of this breed? Check out this great video below! This is a great video because it also talks about cosmetic issues that people don’t normally think about. Cocker Spaniels have sensitive skin that requires certain vitamins and oil to help keep it healthy. Even though this video is a plug for a dog food brand, the information is spot on. Check it out! Unfortunately, this beautiful breed has a ton of common health problems. 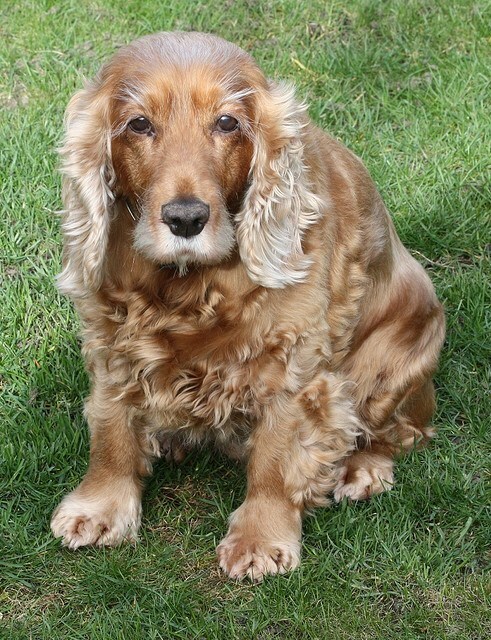 We’re going to give you a rundown of what to expect so you can work on preventative care for your Cocker Spaniel. Cocker Spaniels have a ton of issues with their eyes that can lead to possible blindness, but certainly unhealthy eye issues. For starters, severe cataracts can develop between ages 1-5. Other eye diseases that can develop include: corneal dystrophy, cherry eye, dry eye, eyelid abnormalities (entropion and ectropion), eyelash abnormalities, tear duct disorders, persistent pupillary membranes, and retinal dysplasia. Also, Progressive Retinal Atrophy can develop between ages 3-6, and glaucoma can appear between ages 5-8. As you can see, there is plenty of things to worry about in this realm. We stated a bit earlier that Cocker Spaniels can have issues with their skin. We’re going to go into more detail here. Cocker Spaniels are prone to itchy skin usually caused by allergies, pyoderma, or seborrhea. Also, Cocker Spaniels can develop growths, both turmorous and non-tumorous. Lastly, a number of black Cocker Spaniels have been known to develop follicular dysplasia. Unfortunately, Cocker Spaniels have a tough time with ear infections. In fact, Cocker Spaniels are more prone to ear infections than any other breed. This is because Cocker Spaniels have an abnormally long ear canal. The long ear canal traps way and fungi that parasites can feed on. Also, their long ears fold over and provide a perfect cave for parasites to hide. You definitely want to check for these often. Cocker Spaniels are also very prone to an orthopedic condition called luxating patella or loose knees. According to the Orthopedic Foundation of America stated that 25% of all American Cocker Spaniels suffer from luxating patella. That is the 3rd highest rate out of all dog breeds. Also, a good amount of Cocker Spaniels also suffer from hip dysplasia. Cocker Spaniels have the 13th highest rate of hypothyroidism, according to Michigan State University. Cocker Spaniels are susceptible to blood clots. Epilepsy is also becoming a concern within the breed. So, we just gave you a big, scary list of health problems that Cocker Spaniels face. Good luck! Kidding, don’t let this list scare you away; there are plenty of ways you can implement preventative care for your Cocker Spaniel. One of the best ways is coming up with a good diet for your dog. It’s always important to read the ingredients of the dog food you buy. This is especially true for Cocker Spaniels. Cocker Spaniels are hypoallergenic so food that contains “filler” like wheat or corn can set off an allergic reaction. You want to look for food in which the main ingredient is (real) meat. Because of Cocker Spaniel’s bone issues, look for foods that contain glucosamine. Look for foods that contain fat. However, it’s important to control the levels of fats in the food as Cocker Spaniels are prone to clogged arteries. Look for essential fats and oils that are found in meat, fish, cod liver oil, vegetables, etc. Cocker Spaniels gain weight easily. Their diet should help give them enough energy to stay active. Good carbohydrates can release in their body throughout the day, giving them energy all day. Good carbohydrates can be found in rice, oatmeal, and barley. In general, feeding your Cocker Spaniel plenty of good, natural foods with plenty of vitamins will keep him healthy. Also, when you combine a good diet with an eating schedule conducive with their activity level, you’ll have a happier, healthier puppy. Cocker Spaniel puppies can grow from 3lbs in the first month of their life, to 26lbs when they hit 12 months old. And (especially for the first three months) their calorie intake increases by a lot each month. On the first month of their life, he should be eating about 210 calories per day; this can be spread out between four meals. The second month of their life their weight doubles, so their calorie intake should as well. They should consume about 415 calories per day. Their third month you should expect to see them reach a weight of 10lbs, and their calorie intake should be about 640 calories per day. On their fourth and fifth month keep the calorie intake to about 785 per day. Their weight plateaus on their sixth and seventh month and should be around 860 calories their sixth month and 800 their seventh month, respectively. On their twelfth month they’ll reach close to their full grown weight, and their calorie intake should be about 885 per day for a male. This also depends on their activity level; please refer to the calorie recommendation section above. Sometimes female Cocker Spaniel puppies can be a tad smaller, if this is the case, you can reduce the calories you feed her. There is a great calculator here to help you gauge your puppies calorie needs. So when can you start giving your Cocker Spaniel puppy solid food? Cocker Spaniel puppies can start to be weaned from their mother’s milk between four and five weeks after they’re born. Sometimes before if the mother is having trouble feeding them and they have teeth, but usually it’s best to wait until the four or five week mark. Solid Gold Lamb & Brown Rice is just an excellent choice for Cocker Spaniels. It really hits on all the points that we emphasized earlier in this article. Let’s go over some of the reasons why this dog food is the best for your Cocker Spaniel. First, this dog food contains no filler (wheat, corn, etc.) which we noted was an allergy instigator for Cocker Spaniels. It contains 70% meat, which is the main ingredient. The rest of the ingredients are a healthy mixture of barley, brown rice, and vegetables. This is exactly what a conscience dog owner should be looking for. It’s important (especially for Cocker Spaniel owners) to stick to food that is as close to raw ingredients as possible. We also noted earlier under health concerns that Cocker Spaniels have a tendency to have skin problems. The lack of filler helps keep the skin healthy, but also, this dog food contains monounsaturated fats, such as: olive oil, canola oil, and salmon oil. These also do great, hands on job of keeping the skin moisturized and healthy. And of course, it also has plenty of vitamins and nutrients for overall health. These dogs have plenty of health issues, so getting a well-rounded mix of strong vitamins are truly essential to keeping the dog healthy. This is honestly just one of so many great dog foods in the market. 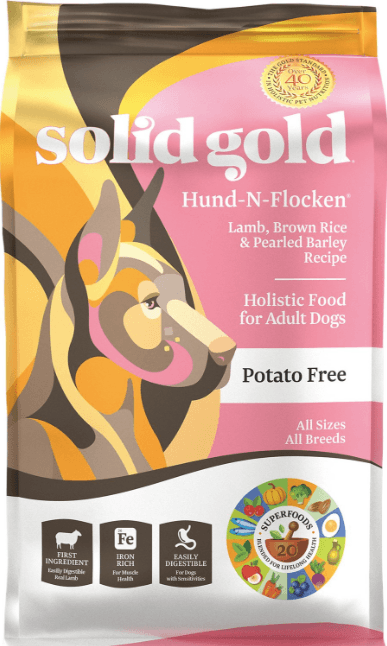 It’s always important to take everything into consideration, but this is really a great dog food for the Cocker Spaniel specifically. With all the health issues that we’ve gone over, this dog food is one of the best options for comprehensive preventative care. Also, it does a great job of keeping the beautiful, iconic coat of the Cocker Spaniel healthy and shiny.